SB Plastering & Rendering Specialist - Painter/Decorator, Plasterer based in Bromley, Kent. SB Plastering & Rendering Specialist is a professional business with a high reputation to uphold, and with over 7 years’ experience in the trade we pride ourselves on our quality of workmanship and our attention to detail. 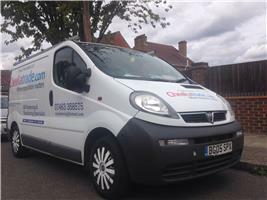 Based in London SE23, we cover all areas of London and the South East. We ensure that we always liaise with the client to ensure our full understanding of the project, and that we are meeting with your requirements. We also ensure that we leave our work site in an exceptionally clean and tidy condition.